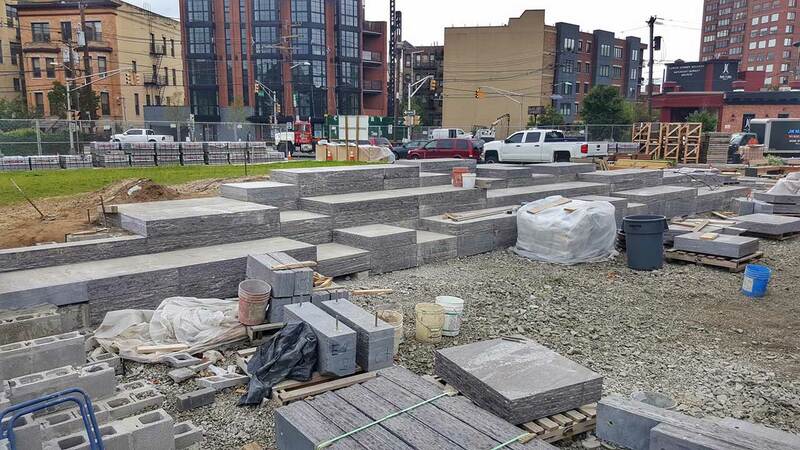 After experiencing significant flooding during Hurricane Sandy, the Southwest Resiliency Park is the first in a series of investments the city is making to increase green space and reduce flooding vulnerability for communities. Most of the 1-square mile city located on the coast of the Hudson River falls within FEMA's 100-year floodplain. The community was hit hard during Hurricane Sandy in 2012, resulting in flooded streets and homes and $100 million dollars worth of damage. The city had identified a number of asphalt covered surface parking or vacant lots that exacerbated the stormwater flooding problem. 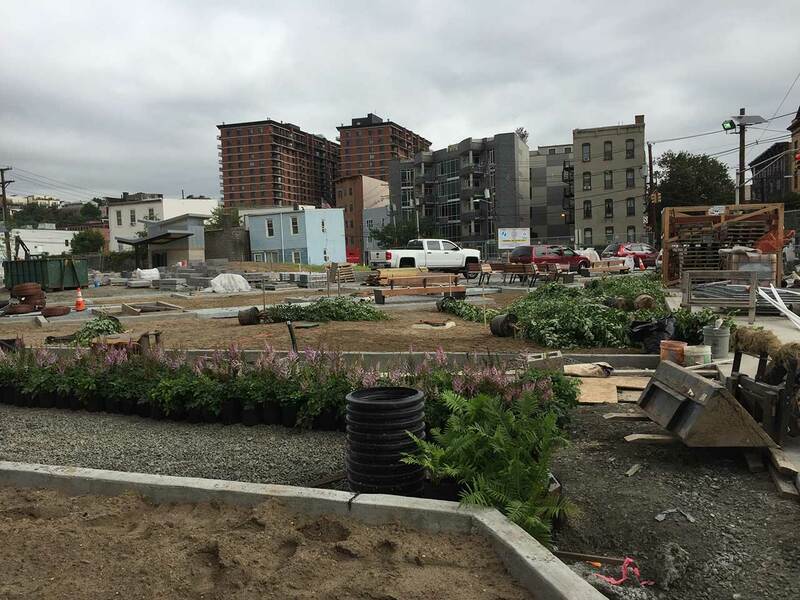 Hoboken used/is using a redeveloped parking lot as a green infrastructure enabled community park to address this/these challenge(s). After acquiring the 1-acre surface parking lot, the city designed the first "resilience park" with integrated green infrastructure in New Jersey. The park features passive recreational space, a range of green infrastructure solutions including rain gardens, shade tree pits, porous pavers, a cistern for rainwater harvesting and reuse, and an underground detention system to reduce stormwater run-off and localized flooding. 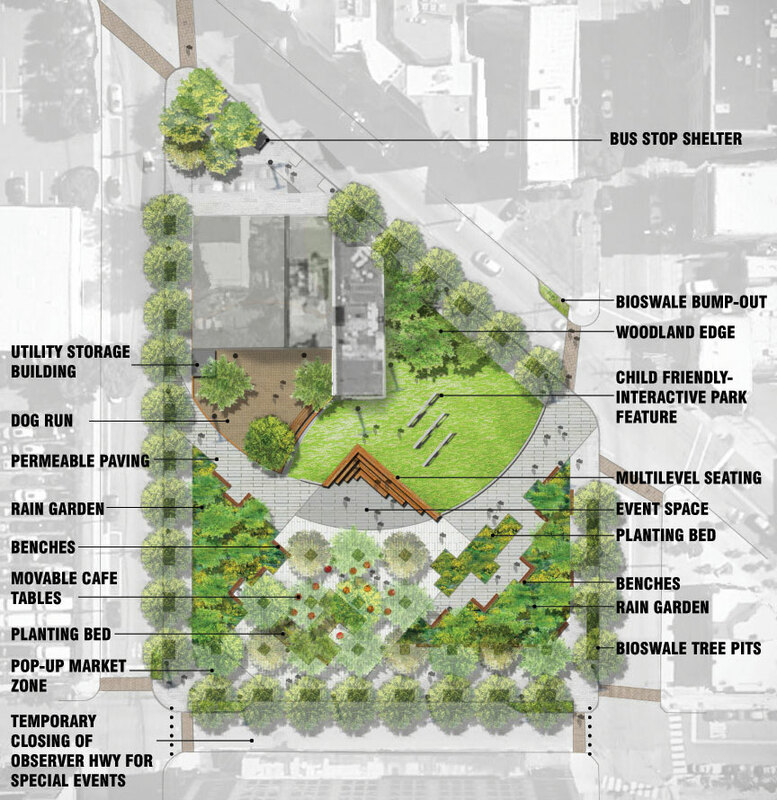 It includes a dog run, moveable cafe tables and chairs, a pop-up market zone, a restroom, multi-level seating for small performances, a solar-powered mobile device charging station, and lawn space. The park will also feature public wi-fi. The site will manage approximately 200,000 gallons of stormwater runoff. A New Jersey Environmental Infrastructure Trust loan was used which includes 19% principal forgiveness for all green infrastructure elements of the park, providing an estimated $6-8M in savings for the city. 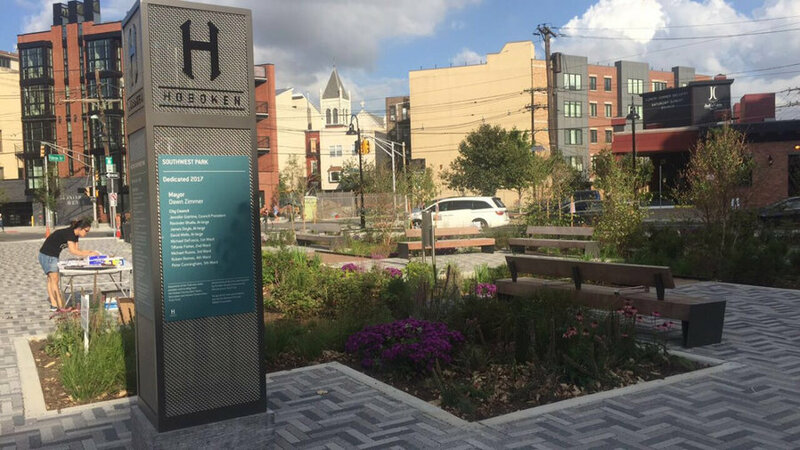 In January 2017, the Hoboken City Council voted to authorize the use of eminent domain to acquire a vacant property adjacent to expand the Southwest Resiliency Park. Any community facing significant stormwater flooding and a lack of green space.